It was already ten years that I had left Fatima, when, one day in 1965 my mother told me she had met Fr. Ryan. He asked her for me and told her he would like to see me. I missed Fatima during these years; had never visited since leaving in 1955; so I was happy for this excuse to pay a visit. And then a most embarrassing thing took place. I knocked on his door, he looked up and said: “Well Mr. Johnson, what can I do for you?”. For a brief moment I was lost for words. On my way to the visit, I was thinking: “What did the Rajah want to see me for?”. I thought: “Did he want to apologize for some of the licks he inflicted?”. After all I was a frequent visitor to the Dean – at least once a term. Or maybe, I thought “He probably just wanted to keep track of my whereabouts”. He always preached to my mother about the friends I kept. So when he threw the Yorker at me, I almost lost my stumps. He made me feel that it was I who wanted to see him and not the other way around. I stuttered a reply, which must have been in my subconscious: “Fr, I was thinking it is about time we formed our own Old Boys’ Union and I thought perhaps you may be in favour of such an idea”. In his typical conservative way he replied: “I don’t see any need for a Fatima Old Boys’ Union. All Fatima Old Boys are eligible to join the St. Mary’s College Union. That’s a very good organization”. At that point, I said to myself: “DJ, you are the last person to suggest such a radical idea to the Rajah”. I’ll never forget, once, many years ago, him telling me: “Johnson, you are the most unreliable person in this whole school”. I cannot recall the incident that led to that remark, but I always remember it made such an impression on me as a young man, I was determined that no one would ever say that about me again! Mentally, I always thanked him for that remark. I thought about the days when we used to have to participate in the joint sports day with Saints on their grounds. It was intimidating and embarrassing. We always felt like “outsiders”. And over the years, Fr. Ryan used to try to encourage old boys to join the St. Mary’s College Union. But the only ones who ever joined up were those who had left Fatima to complete their Cambridge Higher certificate at CIC. And even then, there was a strong desire for our own College Union. 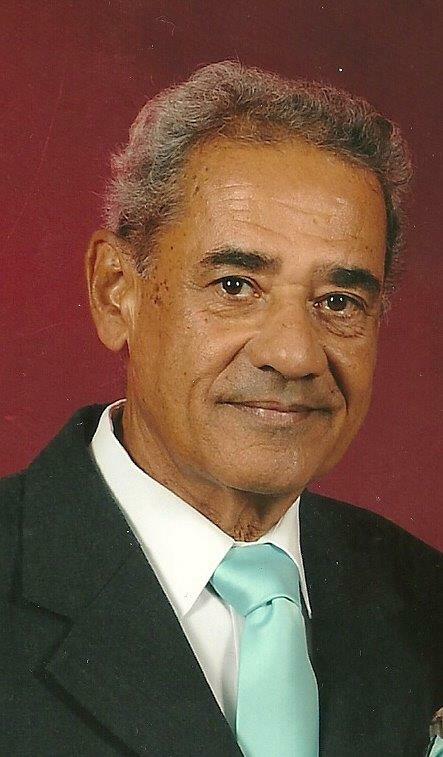 Ricardo Inniss was a typical example. A true patriot. We talked about the pros and cons and he confessed that he missed seeing many of his old pupils and would love to see them reunited. That was the spark. Very soon, circulars were in the mail and the first Fatima Old Boys’ Reunion was planned. He himself was in the forefront in tracking down all the past students, pulling out his meticulous records to grab as many people as possible. I remember the night. The Rajah, though sedate, as beaming with happiness, a gentle smile, corners of his mouth twitching constantly as he moved around the hall greeting long lost friends and the First Reunion was already a success. When eventually the formal proceedings got underway and he stood on the stage he was greeted with a long standing ovation, until he was forced to revert to his old restraining command: “Steady now! Steady now lads!”. And there was total silence…just like old times. In his welcome, he naturally maintained his conservative view that an occasional reunion was sufficient but that we should continue to belong to the St. Mary’s College Union. As soon as he was through with his greeting, the first speaker to stand on stage was well known cricket umpire, Ralph Gosine, who set the tone and direction of what was to be a recurring plea for our own organization. Every single speaker thereafter repeated the call. I was asked to chair the Standing Committee which would plan the formation of the organization. Among those who served on this pioneering committee were Ricardo Inniss, Mervyn Thompson, Winston Wilson, Carl Nanton and others. Our tasks were to draft a constitution and call a meeting to have it adopted. On January 21, 1966, the Fatima College Union (that was the official name), was inaugurated. I was elected President, Fr. Ryan was appointed First Vice President, Peter Phillip was Second Vice President, Kenneth Williams was Honorary Secretary, Carl Nanton was Honorary Treasurer, and Winthrop Holder was Assistant Secretary/Treasurer. Committee members were Michael Armoogam, John Gooding, Alvin “Coosh” Holder, Ricardo Inniss, Gerald Nanton and Hollis Roberts. Other pioneering members of the Management Committee in the subsequent early years included Vernon Mangatal, Arthur Chinn Fatt, Stephen Almandoz, Gene Hutchinson, Bing Richards, Winston Wilson, Mervyn Thompson. Because of Fr. Ryan’s ultra conservative disposition, the Union was never really called upon to play a pro-active role in fund raising projects. The main thrust of activity was in social projects, which although well meaning, never really challenged the Union. Around that time the sports pavilion was being planned and the old boys, though more than willing, were never asked to take on any fund raising responsibility towards its establishment. In 1967, Gene Hutchinson launched a regular newsletter, which he called The Amitaf News. It served a very good purpose in keeping the members informed about goings-on among old boys. Sometime later when gene no longer was involved in the management committee, it died. It was not until Clive Pantin was appointed Principal that the Union was really called to arms….and it answered the call. The first project was the building of the JH Ryan Audio Visual Centre. The Union was the catalyst that raised the funds and the Centre was built. Thereafter, the organization grew in confidence and took on many more challenges over the years. The establishment of Club 200 was an idea mooted by Gregory Farfan. The target was 200 persons each giving $10 a month to a fund that would be used in whatever way the principal wished. Every month a draw was made – the first three persons won a prize of $120 each (their year’s subs were refunded, as it were). Club 200’s funds were used to provide books, travel allowances, meal subsidies and so on for some students who needed such help from time to time, and for emergency situations generally. In the late 70’s we joined forces with Fr. Girod in organizing the annual Mayfair with the help of staff and parents. In 1983, a fund was launched among the old boys themselves, for the purchase of a Mazda 26-seater bus. Among us we were able to raise the $36,000 required and the bus was bought. Today that bus is still in use. In 1983 we also began the establishment of a Computer Department. The classroom was identified and the first order of computers was placed with a source in Miami. Very soon, Fatima became the leader in this aspect of education, with Fr. De Four as the Head of Department. In 1983 we were instrumental in organizing the first Long Service Awards Ceremony. Special plaques, purchased and inscribed in Miami, were presented to 20 members of staff, with years of service ranging from 10 up to 30. A special award was given to the groundsman, affectionately known as Freddie. Over the years the College Union raised over $2,000,000 for the college, all of which went directly into the college’s account. The Union never operated a bank account, except for the Club 200’s funds, a joint account, requiring the Principal to be a co-signatory. May the spirit and these ideals continue to help us all to keep on striving.